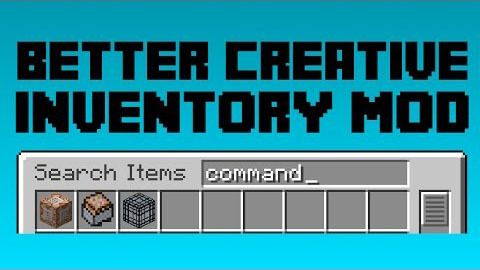 Better Creative Inventory Mod adds all of the missing blocks and items to the Creative Inventory, including Command Blocks, Barriers, the Dragon Egg etc. Additionally it adds a new Tab to the Creative Menu containing Monster Spawners for every available Entity in the Game. Download the Better Creative Inventory Mod from link below.